When I decided to get serious about blogging, it was important for me to commit to a schedule. I also needed to use my time wisely since I have a full time day job and two dogs that like to go to the dog park – a lot! It was difficult to find time to blog, but I decided to make a conscious effort to work smarter not harder since my time was limited. I love lists! Even when I'm not blogging, I keep a small notebook in my purse incase I get an idea for a blog post or want to take notes from one of Pat Flynn's podcasts. I constantly have a running list of things I want to work on, as well as a section I use for brainstorming. Having a to-do list helps me stay focused when I sit down at my laptop. When I go through my to-do list, I always prioritize the tasks I want to work on during my blogging session. My time is always limited, so I'll look at my list and determine how much time to spend on each task. Once my time is up, I move on to the next item. This keeps me focused and prevents mindless day dreaming. Previously, I used to spend a ridiculous amount of time playing on Pinterest. 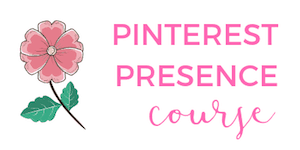 Now I block of a small amount of time each day and use my Pinterest planner to work smarter not harder. I used to keep a list of blog posts I wanted to publish, but never really had a solid plan or strategy. 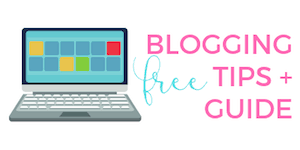 When I first started blogging, I would write a post and just hit the publish button! Once I started utilizing the WordPress editorial calendar, I had a much better visual for planning my upcoming posts. It is much easier to plan out my monthly posts ahead of time and stick to a schedule. 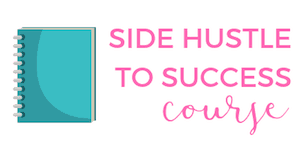 One of the best ways to work smarter not harder is to get help. Making Sense of Cents recently discussed the benefits of outsourcing and I couldn't agree more. There are certain tasks on my to-do list that are either too time consuming or areas I don't have enough knowledge on. Sometimes it is more beneficial for me to outsource a task so I can focus on what I am good at. Life happens and not everything goes according to schedule. It is easy to get busy with a day job, get sick or have something come up unexpected. Since I like to post to my blog 2-3 times a week, it is essential I work ahead of schedule. I even have a few extra blog posts I am saving for a rainy day, just incase something comes up! 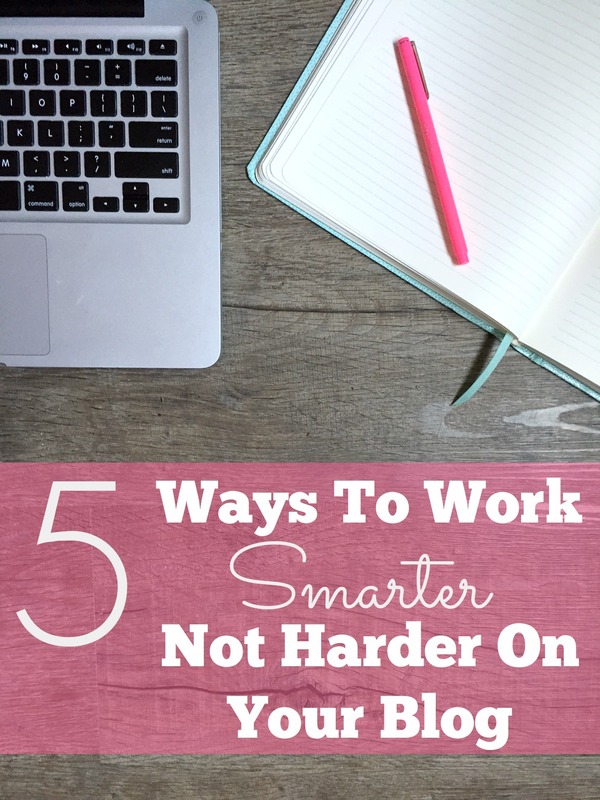 What blogging tips do you have to work smarter not harder? Ooh, thanks for the tip! I haven’t tried that one yet but plan on checking it out! These tips are great!! I just launched my second blog and I’m totally worried about how I’m going to keep up. I need to get better about scheduling. My current schedule is to knock out all freelance assignments first, then focus on my blog(s). Thanks for the tips!! Totally needed this today. I hope you plan on sharing your 2nd blog, how exciting! That is so great you are busy with freelancing! You would think since I have been blogging for over a year I would be more organized. I just started scheduling my blog post to hit my site about a week out and trust me, I’m gonna try to get even further out. Not having a plan before logging on your computer is a recipe for disaster. Its so easy to get distracted. If you’re not careful you will spend hours online and have not gotten much done at all. Great tips. I agree with the distractions – that’s my main problem if I’m not careful! Wait, there’s an editorial calendar in WordPress? I have to look into that! I sometimes use the draft or schedule features, but I’d love to be able to block out a month at a time right within the interface. 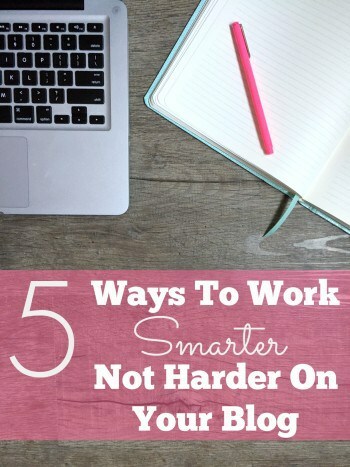 My smarter-not-harder tips are…hmm, I don’t have any 🙂 I do keep a running list of ideas on my desktop but lately I’ve had so much to write about with just what’s going on that I’ve barely touched it. Yes, check it out! It works pretty good – you can see drag and drop posts into the calendar! It makes scheduling a breeze! Great tips! I depend heavily on my planner to keep me on track and lately I’ve been allowing myself a limited amount of time to get things done and it’s been going well. I used to work ahead on my posts for my blog but since I started freelancing I can only get about a week ahead but I just need to keep working on balancing it all. That’s awesome you are freelancing Chonce! Even being a week out is great! Thank you for the helpful tips. So far I use an editorial calendar (which I love!) and to-do lists. I am still working on writing up posts ahead and blocking out specific times for certain tasks. Outsourcing is something else to consider. I definitely need to work smarter not harder. I never even thought to look for other editorial calendars, which one do you use?